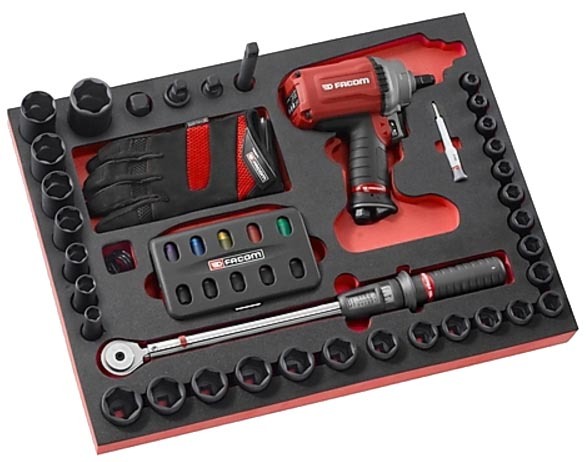 Facom Wheel Change Module Tray (with 1/2" Drive Metric Impact Sockets & Torque Wrench)(MODM.ROUE2) - new for 2015, this laser cut foam tray will hold a variety of sockets and drive accessories, a Facom S.208-200 torque wrench, a cordless or pneumatic impact gun and other wheel/tire related items (gloves, tire gauge, wheel hanger, tire valve core removal tool, specialty sockets, etc). 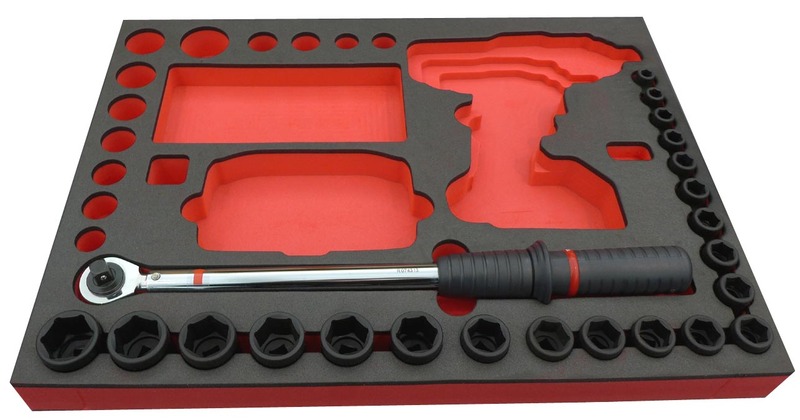 This kit includes the foam tray (approx 22 1/4" x 16 3/8"), a 21pc set of 1/2" drive shallow impact sockets (10-32mm) and a Facom S.208-200 torque wrench (40-200nm, ideal for tightening wheel lugs and bolts). 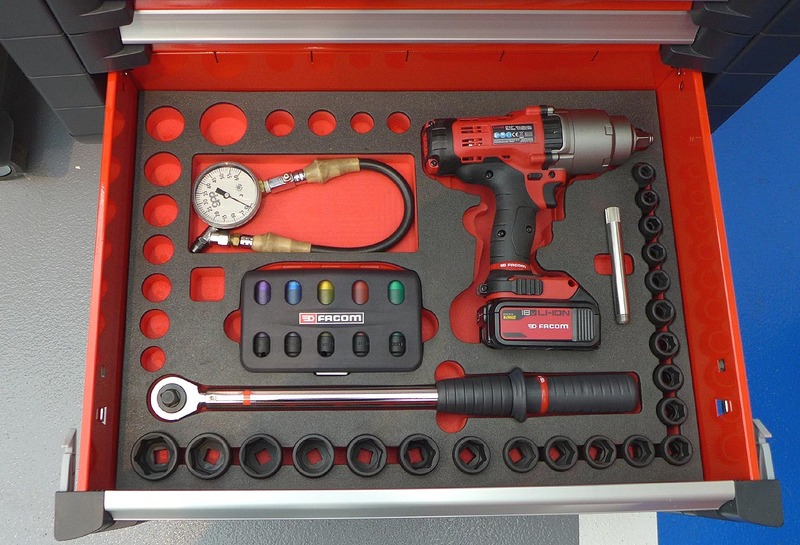 This tray should be used in a 4" or 5" deep drawer (the Facom JET toolbox drawer is 5").